Kulfi Kumar Bajewala: Viewers Lash Out At The Makers For Showing Mother Poisoning Her Daughter! Kulfi Kumar Bajewala is one of the popular shows on Star Plus, which has got good ratings. The viewers love the show. But of late, the show received severe backlash from the viweres. 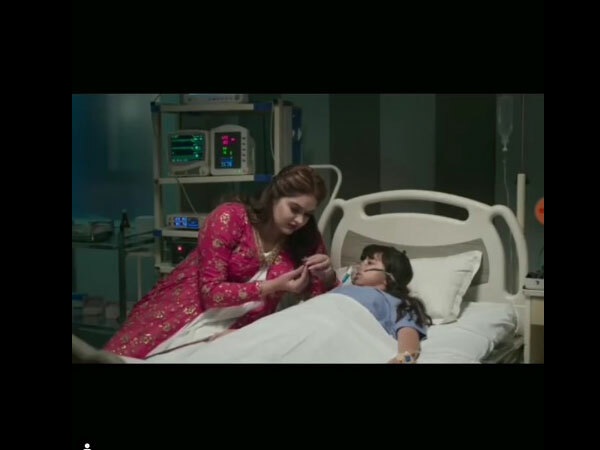 Recently, a sequence was aired in the recent episode of on Kulfi Kumar Bajewala, where Loveleen is seen giving poison to her daughter Amyra. Before doing so, Loveleen is even seen apologising to Amyra and says that it is for her benefit and after this, Amyra won’t have to share her father with anyone (Kulfi). This scene has left viewers furious. The fans have lashed out at the makers and channel for showing such a sensitive scene. They have questioned the makers as to why such negative storyline. Most Read: Khatron Ke Khiladi 9: Vikas Gupta Admits Taking Drugs & Not Informing The Team About His Injury!